Barcelona and food = fantastic! Have a wonderful time. Great photos! 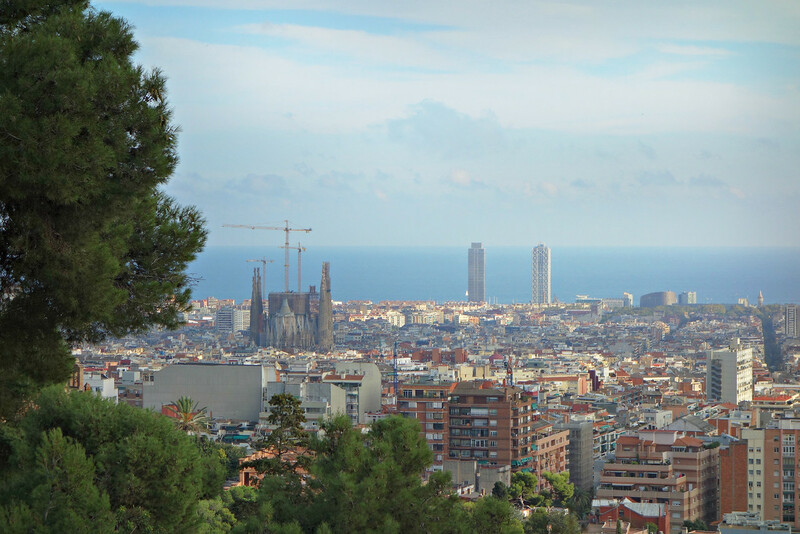 I’ll be visiting Barcelona with Portland Food Adventures in September, I can hardly wait! 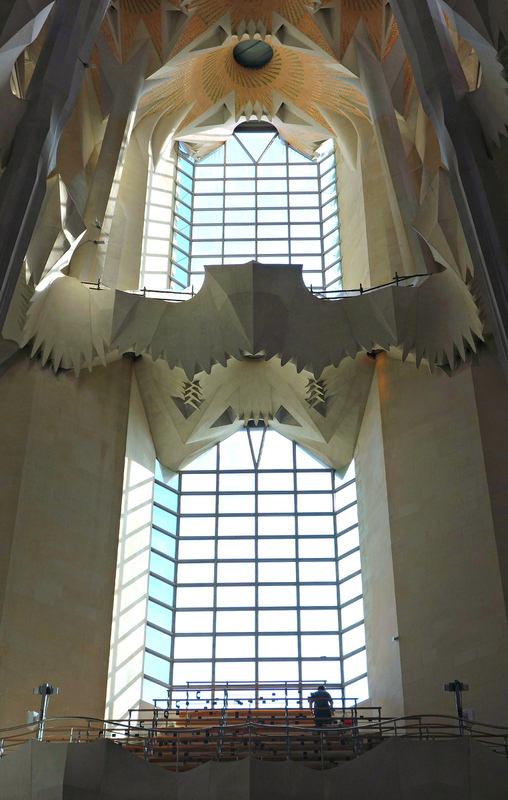 Wonderful write up on Sagrada Familia! I’ve visited twice and can’t wait to visit again to see what else has been completed. It is truly an inspirational place on earth. Your photographs were simply amazing. Thanks for your kind words Sue! It was so inspiring for me too. Incredible photos! What a great preview — I’ll be in Barcelona next month. 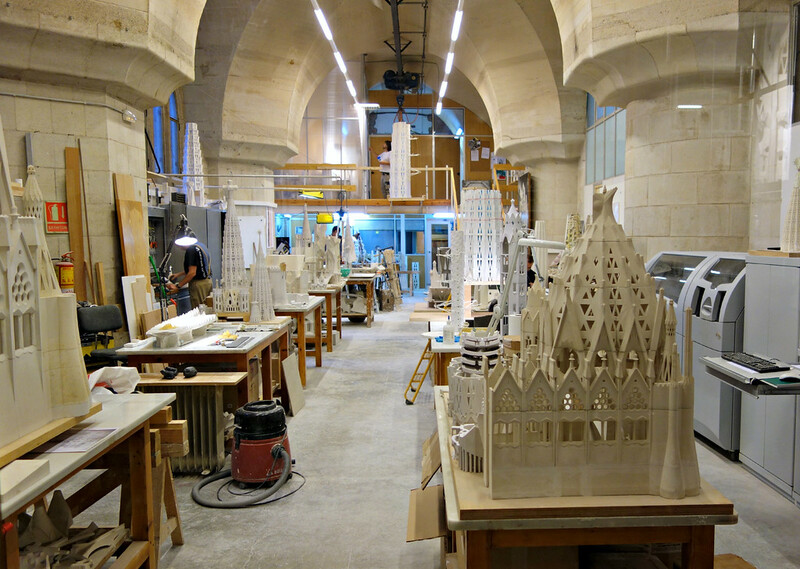 Can’t wait to see La Sagrada Família in person! Thanks Patti. Enjoy your visit to Barcelona! What an amazing structure! I’ve visited it several times, but it has been a while and I did enjoy seeing it yet again through you excellent images. So sorry to have not gone to Barcelona when we cycled in Spain. 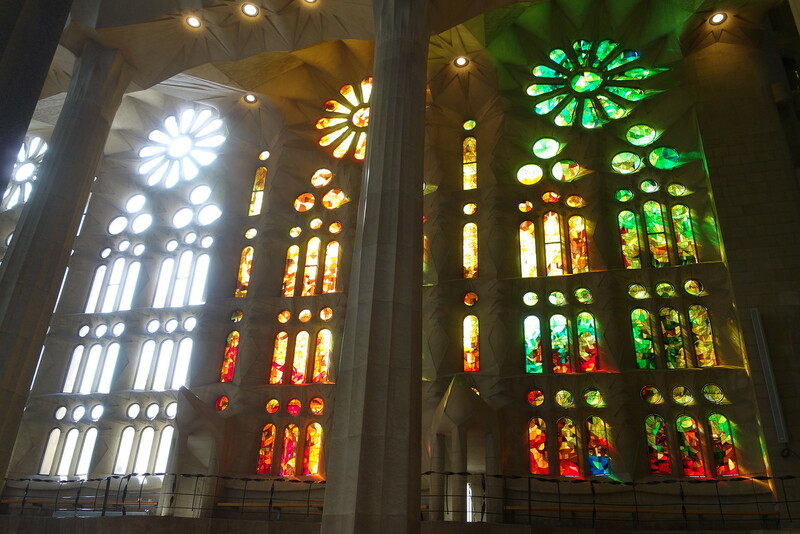 The Sagrada Familia looks amazing. Gorgeous photos! There are so many different areas worth visiting in Spain. We still have lots we want to explore, especially the northwest. Magnificent photos Shelley! 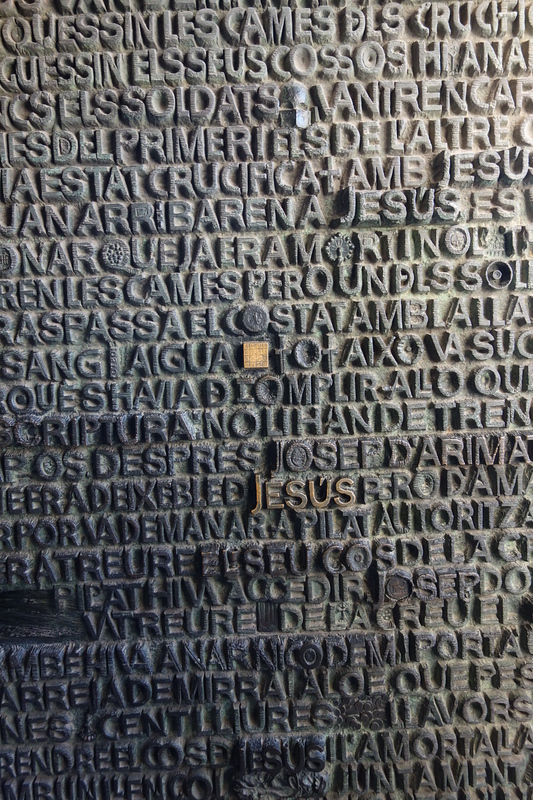 I visited Sagrada Familia and I was underwhelmed by the place. It is a great piece of architecture but just not my cup of tea. My favorite of Gaudi’s architecture in Barcelona was Casa Batllo – I plan to see it again next month when I will be in Barcelona for a couple of days. I do LOVE Barcelona!!! Thanks Susan. I’m wishing I was going to be in Spain next month too… feel like I’m missing a big party! I don’t think I’ve ever seen photos of the inside. If/when we do get to Barcelona we will know that it’s worth lining up. Thanks for sharing! 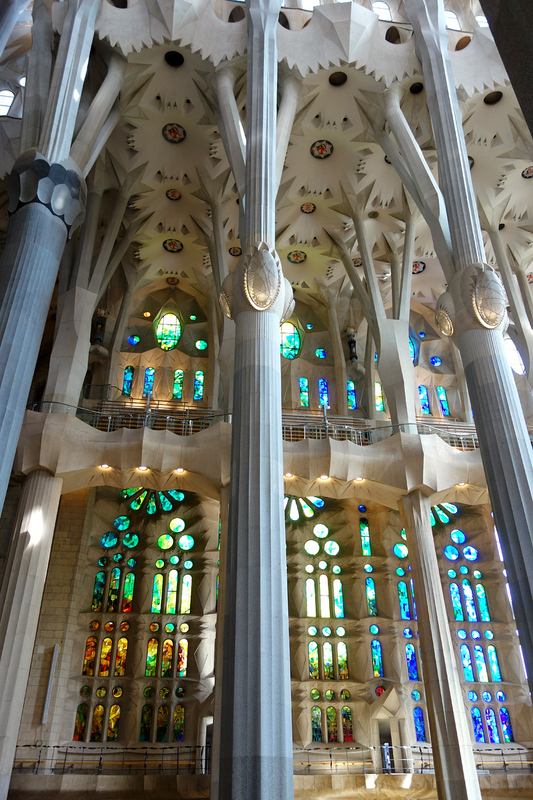 I hope you get to visit both Barcelona and Sagrada Familia some day. Wow! Your photos are amazing and your post couldn’t have been more timely since we’ll be arriving in Barcelona at the end of April to spend a whole month in this amazing city. 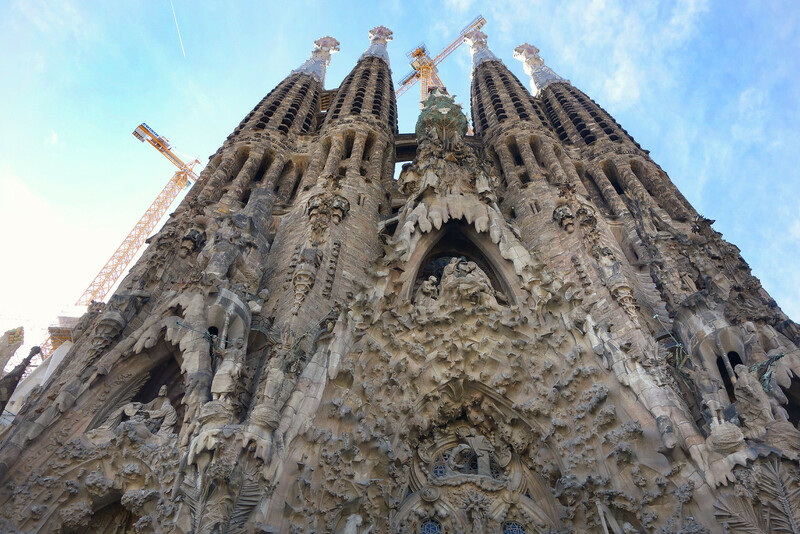 And, Gaudi’s La Sagrada Familia as well as his other architectural sites are at the beginning of our list! Thanks for sharing this informative post. 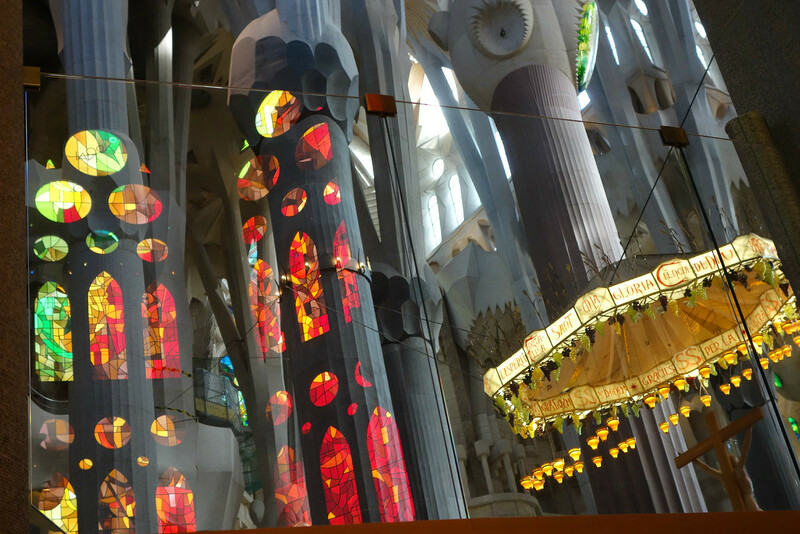 Have a wonderful visit to Barcelona! 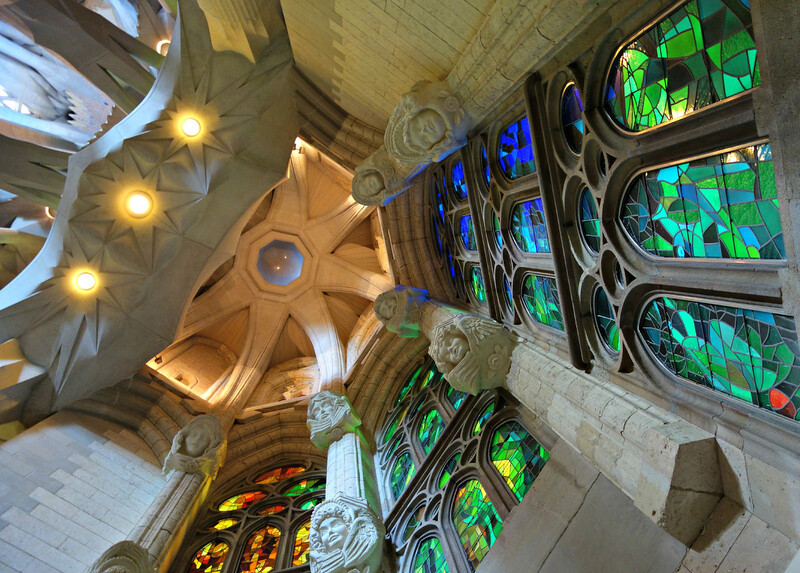 I’m looking forward to seeing your wonderful photos of this great city, and especially more Gaudi! 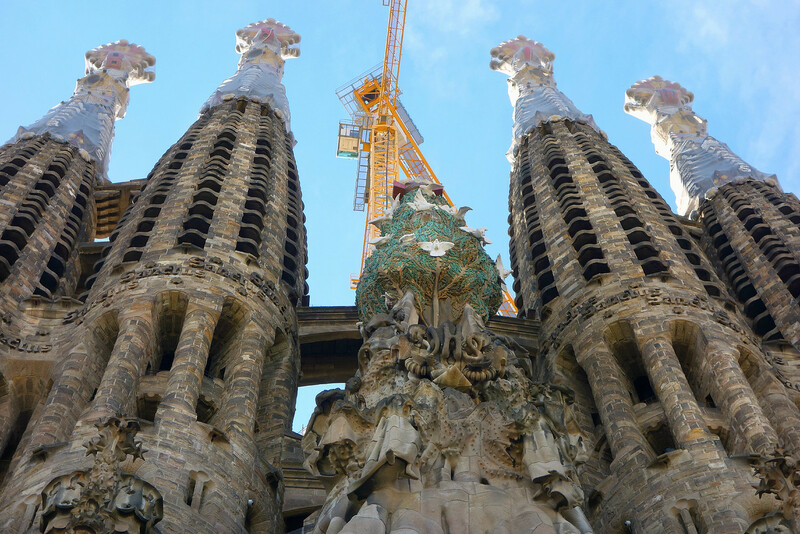 I was very excited to see the title of your post as I too will be in Barcelona next month/ At the top of my “must see” list is a return visit to see the progress on La Sagrada Familia. I was last there in 2008. Judging by your fantastic photos, there has been much amazing progress in the interior. I have to figure out how to beat the crowds! Have a great visit in Barcelona Suzanne! I think getting tickets in advance might help. Once inside we even enjoyed watching the crowds looking around in wonder. 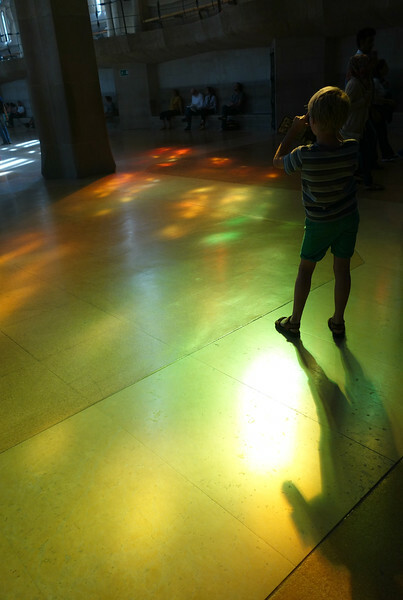 Going on a sunny day was a bonus too, so the light was streaming in the stained glass windows. 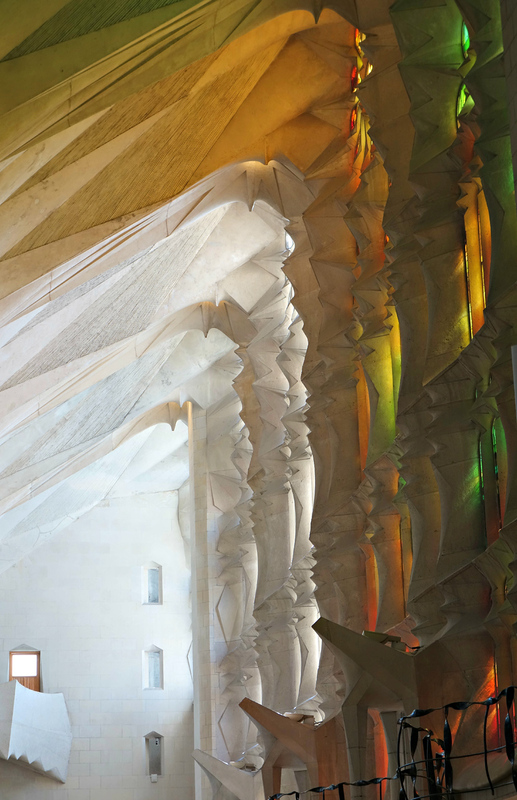 I agree with the other commenters — yours are the most beautiful photos I’ve seen of the interior of Sagrada Familia! Fantastic job! 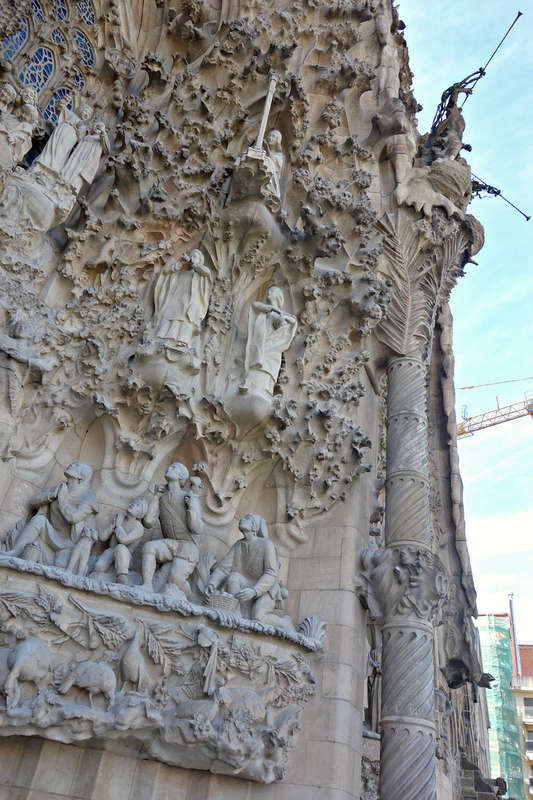 Gaudi’s architecture is just one of the many reasons I adore Barcelona and the entire region. Can’t wait to get back there! Thank you Josie 🙂 Our time in Barcelona was too short, and we would love to go back and see more. Sad we can’t make it for TBEX Spain this year. 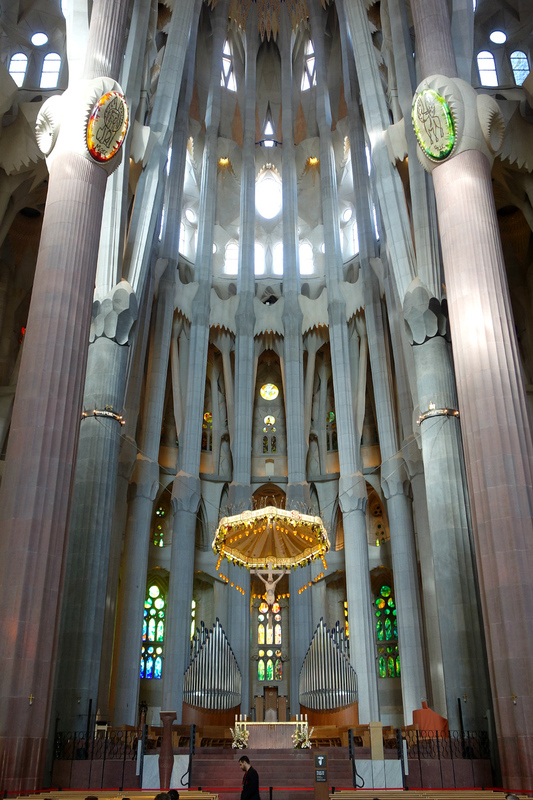 I visited La Sagrada Familia about 8 years ago, it took my breath away. 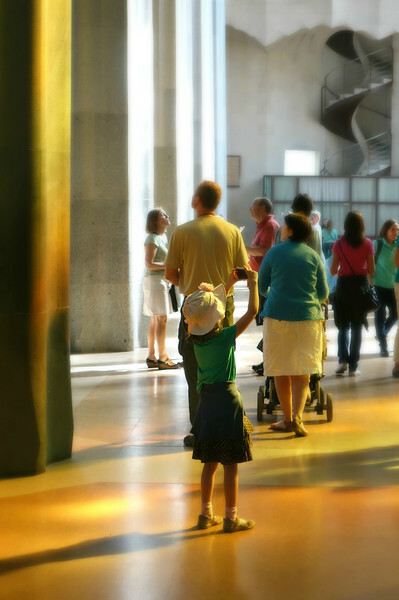 Your photographs are outstanding and truly manage to take the reader with you! 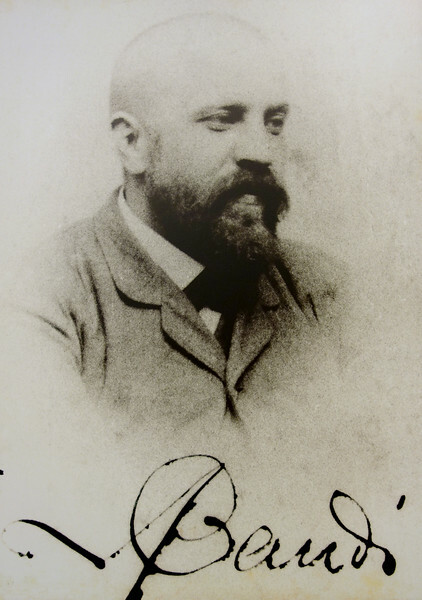 I think the very first Gaudi quote is my favorite: “My client is not in a hurry.” I need to go back to see the progress! I hope to visit again before 2026, but it would be great to see it completed! 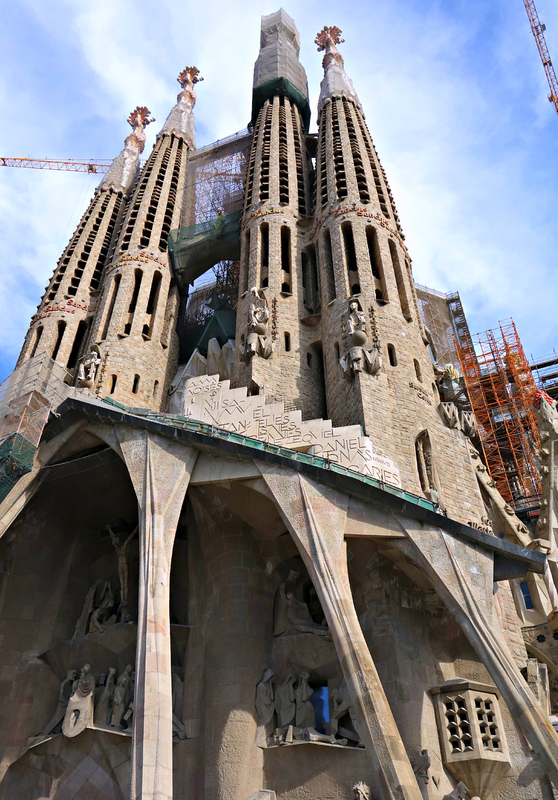 We can’t wait to visit La Sagrada Familia next month when we are in Barcelona. 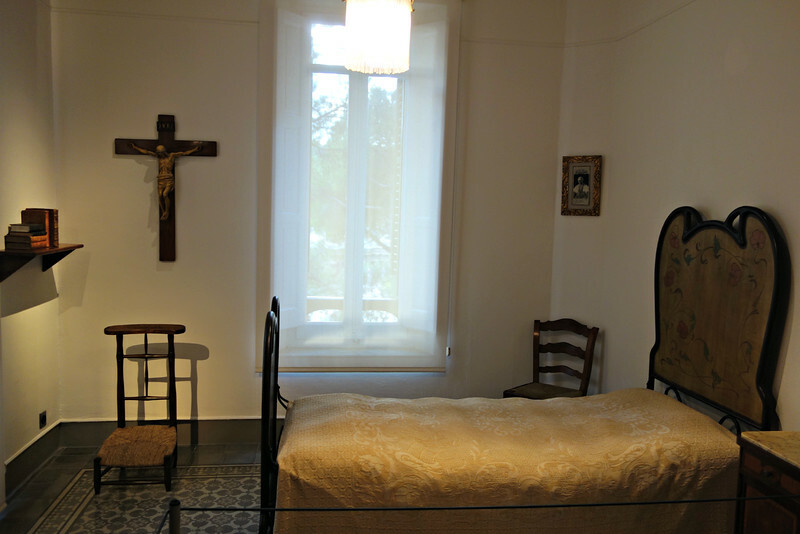 I am so taken with the contrast in Gaudi’s creative product and the austere atmosphere of his room. Thanks for sharing your beautiful photos. I hope you have a wonderful visit Betsy! 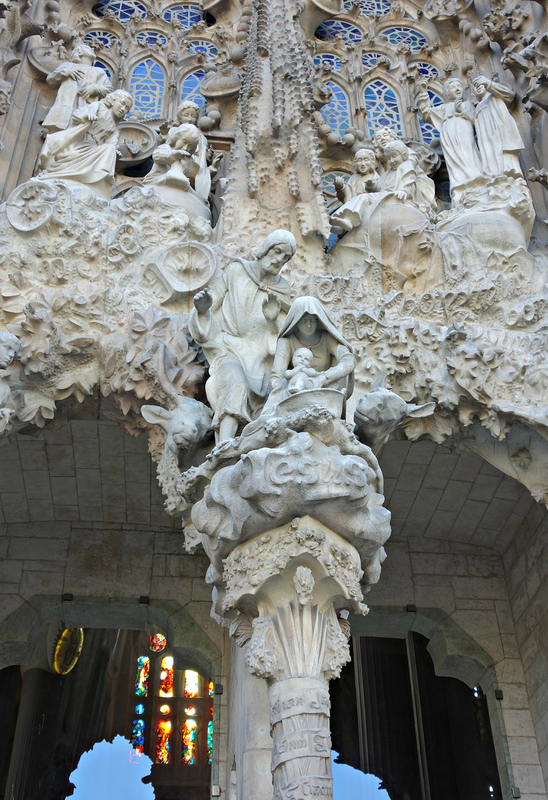 In the church, we missed going to Gaudi’s tomb and also climbing the stairs to see the view from above, as they closed earlier. So my tip is to try to see that part before it closes. Love the photos! 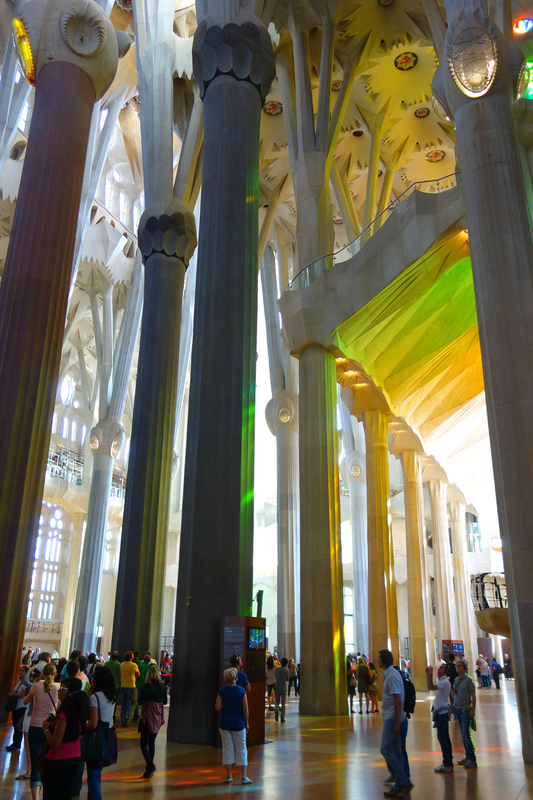 We think that Sagrada Familia is the most interesting building we’ve ever seen. Can’t wait to get back to see it again. Me too! We lost track of time and weren’t able to see it all so need to return. Thank you Linda! I love that quote too. Even inside the church, we could feel his inspiration from nature. 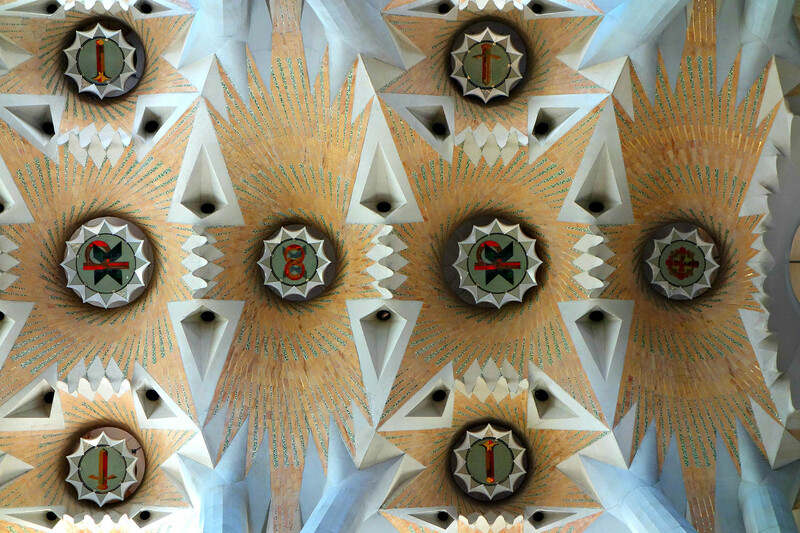 I can’t get over your photos – the best I’ve seen of the interior. I love the colour range you show. I didn’t go in when I was in Barcelona because of long lineups. I regret it now. Thanks so much Leigh. It was so photogenic in there we were in photo heaven!